Editor’s note: This article originally appeared in Health Affairs on February 16, 2018. Drug manufacturer coupons used by consumers to reduce the size of their prescription copayments are increasingly under fire by federal and state policy makers, as well as by insurers and pharmacy benefit managers (PBMs). Medicare and Medicaid consider them kickbacks and completely ban their use. Massachusetts has considered a similar move, and California recently outlawed coupons for branded drugs where a generic equivalent exists. New Jersey is considering similar legislation to California’s. Meanwhile United Healthcare and Express Scripts will no longer count the value of coupons towards consumers’ deductibles or out-of-pocket maximums, substantially reducing their value at pharmacy counters. Why the war on coupons? The simple argument is that they interfere with benefit structures designed to drive prescriptions towards generic medications with low costs. Critics contend that the coupons force insurers to cover more expensive brand drugs and cause overall costs to rise. The counterpoint is also simple. With rising drug copayments, especially for innovative branded medicines, coupons reduce patients’ out-of-pocket costs and provide access to needed therapies. But the truth is more complex, lying somewhere between these simple arguments. Using data collected from coupon aggregators and commercial insurance claims from 2014, we find that these two sides represent extreme ends of the debate, overlooking key clinical and economic forces. Most importantly, the results of the analysis point to a need for more nuanced policy responses to ensure that patients who currently rely on coupons are not harmed. In 2009, copayment coupons existed for fewer than 100 brand name drugs. By 2015, that number had grown to more than 700. As of 2016, 20 percentof brand prescriptions in commercial insurance plans were filled using some kind of copay assistance coupon. Coupons are typically distributed through advertisements or by physicians. The patient presents the coupon to the pharmacist when filling a prescription, and the copayment is reduced (or eliminated entirely) at the point of sale. This reduction can be significant: our research finds that coupons are almost always applied to branded drugs, rather than cheaper generics, and most often set a monthly copay goal somewhere under $25, with a typical maximum monthly savings between $50 and $100. The pharmacist redeems the coupon with the manufacturer and the patient’s insurer pays the rest of the cost of the prescription, as they normally would. In some instances, the insurer has no way of knowing that a patient used a coupon. When manufacturers of drugs on high copay tiers cover part or all of the copayment, they weaken the patient’s incentive to use drugs on lower tiers, and insurers and pharmacy benefit managers lose some of their leverage. At the same time, it is not surprising that consumers eagerly embrace coupons to help offset rising costs. According to a recent survey of employer-sponsored health plans, average deductibles for single coverage increased from $584 in 2006 to $1,505 in 2017, and the share of employees enrolled in high-deductible plans increased from 4 percent in 2006 to 28 percent in 2017. Further, about half of covered workers are enrolled in plans with a separate tier for specialty drugs, with an average copayment of $101 or coinsurance rate of 27 percent. To better understand coupons’ role, we examined the 200 highest expenditure drugs of 2014. 90 of them, all branded drugs, had coupons. Of that 90, only 21 percent had direct generic competition, and another 28 percent had a generic among the drugs that might be considered imperfect substitutes, because a generic equivalent of the brand was not available. The remaining 51 percent of couponed drugs had either no substitute at all (12 percent) or had only branded substitutes (39 percent). These classifications suggest which coupons may be likely to raise costs, and, if so, whether they are providing a clear benefit in exchange. The 21 percent of coupons on drugs with generic equivalents seem very likely to raise costs without any obvious benefit. At the other end of the spectrum, the 12 percent of coupons on drugs with no therapeutic substitute may or may not raise costs, but they certainly improve access for price-sensitive patients to medicines with unique benefit. Falling in between are the coupons on drugs with only imperfect substitutes, which represent two thirds of the coupons in our sample. For some patients on these drugs, substituting a different drug may make little or no difference in clinical benefit. In other cases, substitution may not be suitable due to comorbidities, drug interactions, or other individual circumstances. In those cases, coupons help patients afford the therapy chosen by their doctor rather than the one preferred by their pharmacy benefit manager. The widespread use of coupons by nearly all brand manufacturers can be seen as a response to growing control of formularies by a handful of pharmacy benefit managers. The three largest (Express Scripts, CVS Caremark, and OptumRx) control two-thirds or more of the United States market. A drug’s place on their national formularies directly affects market share. For example, a statin may be preferred on one formulary and not preferred on another, prompting the manufacturer who finds itself on a higher copay tier to issue coupons to stay competitive. Such coupons may weaken the cost control design of the PBMs, but their impact on overall drug spending is uncertain. The PBM which extracts a $100 rebate from a manufacturer may or may not pass all the savings along to insurers, which may or may not pass them on to consumers in the form of lower premiums. But a $100 copay coupon bestows savings directly on the patient using the drug. For some patients, a coupon may make the difference between receiving treatment and going without. Manufacturers may offer coupons for a variety of reasons: to induce patients to fill the drug prescribed by their physician rather than a substitute preferred by their PBM or plan; to respond to other manufacturers’ competitive tactics; or simply to improve access for patients who face high copays. 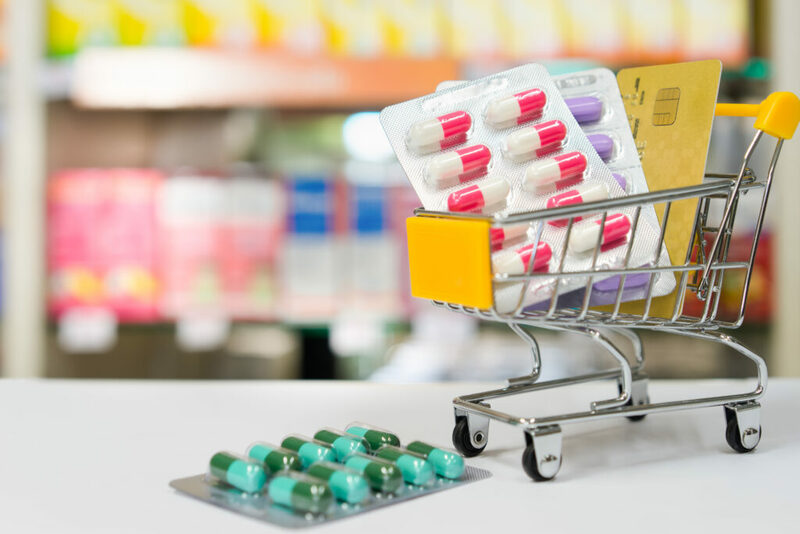 In some cases, coupons may be increasing overall drug costs without improving patients’ health, while in other cases they may be providing patients with access to essential or life-changing medications. The key takeaway is that any policy interventions need to be carefully tailored to varying scenarios. Broad approaches such as blanket bans risk harming patients both financially and clinically. Authors’ Note: This work was supported by the Leonard D. Schaeffer Center for Health Policy & Economics and by the National Institute on Aging of the National Institutes of Health (NIH) under Award Number P01AG033559. The views expressed herein are those of the authors and do not necessarily represent the views of the Schaeffer Center or the NIH.